Avraham entered into a treaty in the name of all his future offspring. After 3500 years of serving as Hashem’s chosen people with a history unlike any other nation - neither in suffering nor in accomplishments - the time has come for us to ask if the Jewish nation is a success story or a failure. We are the only ancient people that is still alive – success. However, the majority of Jews today are not conscious Torah observers - failure. So, at the end of the day, is Hashem "happy" or "disappointed" with us? It is human to revere and respect people who endanger their own lives for the sake of others. We are filled with admiration for the Japanese workers who enter the radioactive area of the damaged nuclear reactors in order to prevent a national catastrophe. They are being bombarded with amounts of radiation which may eventually cost them their lives. All this self-sacrifice for the sake of their nation that is composed of millions of people whom these workers do not know and never will. There are stories of individual soldiers, from many nations, who single-handedly stormed an enemy position or fell on a hand grenade in order to save their fellow soldiers, as did Roi Klein in the Second Lebanese war. We find in our parasha that Nadav and Avihu, sons of Aharon the Kohen Gadol, lost their lives while participating in the ceremony to effectuate the sanctification of the Mishkan. When mortal man enters the holy precincts of the Almighty, he can never be certain of the outcome. Queen Esther took her life in her hands when she presented herself before the eccentric, capricious king. Yehonatan, son of King Shaul, and his shield bearer were not far from being suicidal when they attacked the entire Philistine army in order to save the Jewish nation, and the two men succeeded. All the above acts of admirable bravery have a common feature. They were all one-time events, although some were over an extended period. But we have in our history an event of heroic proportions that extended for over 1200 years, when the Kohen Gadol would enter the Kodesh Kodashim (Holy of Holies) on Yom Kippur in order to attain forgiveness for Am Yisrael. The Kohen Gadol knew how he would enter but never knew how he would leave. As admirable as the Kohen Gadol’s self-sacrifice was, there is the ultimate act of altruism that began 3500 years ago and is still being played out on a day-by-day, minute-by-minute scale. Thirty-five hundred years ago, Hashem appeared to Avraham Aveinu (Abraham the Patriarch) with an offer to enter into an accord called Brit ben HaBetarim - The Covenant of the Severed Pieces (Beraishiet- Genesis- chapter 15). Avraham would enter into the treaty in the name of all his future offspring, and Hashem would guarantee His part of the treaty by His everlasting name for all time. The treaty obligates the Jewish nation to be a "light unto the nations." What does this obligation encompass? In the "big picture," all that is in this world and all the other worlds ranging from the absolute spiritual - the Holy One Blessed Be He of Whom we have no conception - and emanating from Him beyond time and space to all of creation, down to the furthest and absolute opposite of the Creator, the physical, material world of which we are a part. In Kabbalistic terms, our physical universe can be compared to the bottom of a foot that supports everything above it. In this lowly world, the name of Hashem must be ever present. If for one minute His presence would not be recognized, then the whole of creation would cease to exist. The task that was placed upon Avraham and his future descendants in this covenant was, and is, as difficult as it is essential - to guarantee that the presence of Hashem will forever be recognized by humanity. Without the Jewish nation, the concept of a monotheistic God would have quickly been replaced with beliefs defined as avoda zara (idol worship). Christianity with its trinity, Islam that uses God as a tool to control and subjugate others, Buddhism and all the other faiths developed by the gentiles would not be capable of maintaining the belief in a Creator that cannot be seen or heard. Within a generation or two, paganism would replace belief in a monotheistic God - just as it happened in pre-Noah time by Enosh who originated and disseminated the initial ideas of idolatry. 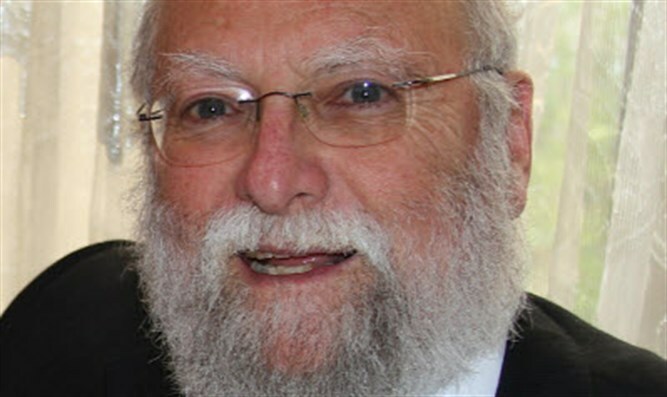 In the covenant between Hashem and Avraham, the father of the Jewish nation, Avraham was warned that the task would be dangerous, even life-threatening, with millions of Avraham’s descendants destined to die in the effort to perpetuate and preserve the presence of Hashem against the pagan instincts of humanity. Avraham was aware of the future role of Am Yisrael, as seen by his reactions. 12. As the sun was setting, Abram fell into a deep sleep, and a thick and dreadful darkness came over him. 13. Then the LORD said to him, "Know for certain that for four hundred years, your descendants will be strangers in a country not their own and that they will be enslaved and mistreated there. 14. But I will punish the nation they serve as slaves, and afterward they will come out with great possessions. Avraham "fell into a deep sleep and a thick and dreadful darkness came over him" when he is told that his descendants would be slaves in a foreign land, with all that that implies. This experience was necessary in order to prepare the Jewish people to keep the faith with Hashem in the direst situations, no less heinous than slavery itself. 17. When the sun had set and darkness had fallen, a smoking furnace with a blazing torch appeared and passed between the pieces. 18. On that day, the LORD made a covenant with Abram and said, "To your descendants I give this land, from the river of Egypt (the Nile) to the great river, the Euphrates”. 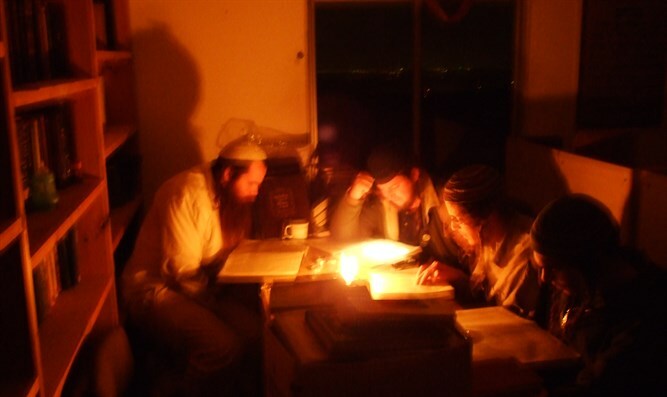 Avraham saw that in the fulfillment of guarding and protecting Hashem’s presence in the world, his children would have to undergo days of darkness with "smoking furnaces with a blazing torch" in the galut; with its inquisitions, Christian crusades, pogroms, forced conversions, concentration camps, terrorists, international ridicule and denigration. Now after 3500 years of serving and sacrificing, Hashem has thrown open the gates of His Holy Land for His people, and the authentic Jews whose families have survived the onslaughts of the gentiles in the galut have returned to rebuild the Holy Land. Now we can take a deep breath and declare before Hashem, "We have succeeded. Your Holy Name was not forgotten even for one day since the Covenant of the Severed Pieces." Am Yisrael in Eretz Yisrael IS history’s greatest success story. We are quickly approaching the closing of the historical circle that began with our father Avraham and mother Sarah. The final links will be the return of all Jews to the Torah’s boundaries of Eretz Yisrael, the restoration of the Kohanic and Davidic dynasties and the rebuilding of the Bet Hamikdash on the Temple Mount.